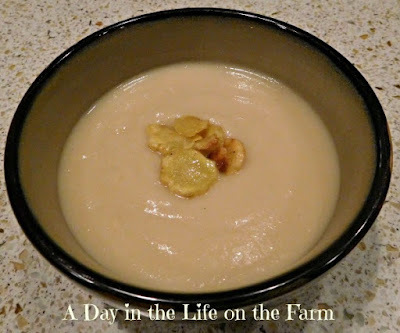 Creamy and flavored with warm spices this Parsnip Soup is so delicious nobody will even realize the health benefits derived. Fiber, Vitamin C, Folate, Manganese and Potassium combine to keep you healthy all winter long. Today is the third Saturday of the month, the day that my group gets together to share soup and stew recipes based on a them chosen by one of our members. This month is being hosted by Sue of Palatable Pastime. Sue asked us to share Snow Day Soups. These are the soups being shared with this group today. We always welcome new members. If you are a blogger and would like to join in the fun please leave a comment below or email me at wendyklik1517@gmail.com. What an amazing array of soups to enjoy all Winter long and into the Spring. I even love soup during the summer months, especially those using seasonal produce. For today's recipe I stayed seasonal by using parsnips. Now parsnips are available year round but they shine during the winter months when it is hard to find fresh vegetables here in the Midwest. You start off by caramelizing some onion that have been seasoned with nutmeg and cayenne. You include a bay leaf in this initial stage. Then you add the parsnips and some apple for added depth of flavor. Deglaze the pan with wine and then cover with water and cook until very tender. While the soup is cooking you can make some parsnip chips for garnish if you want. I made mine in my air fryer but you can roast them in a hot oven just as well. It just takes a little longer. My air fried chips were ready in 8 minutes whereas you will need to plan on about 20 minutes in a conventional oven. Slice up a parsnip into 1/8" thick rounds and toss them with olive oil, honey and a touch of cayenne. They are a wonderful addition to the soup but not necessary unless you want to make them. 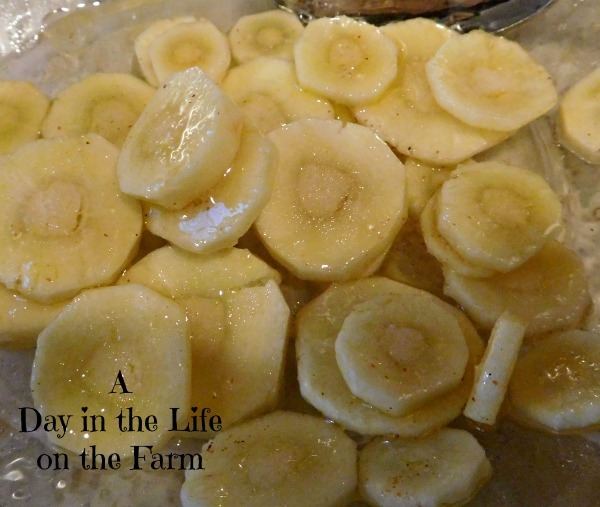 I adapted this recipe from one found in my latest Cuisine at Home Magazine. I halved the recipe as I was only feeding 3 of us. The original recipe called for a pear but I didn't have any on hand. I did though have an apple and it was a perfect substitute. Place the onions, bay leaf, nutmeg and cayenne in a dry pot over medium heat. Cover and cook until onions start to soften, about 5 minutes, stirring occasionally. Add the parsnips to the pot. Season with salt and cook until parsnips start to brown and stick to the bottom of the pot, about 5 minutes. Add the apple to the parsnip mixture. Increase heat to high, add the wine and cook, stirring and scraping up any browned bits stuck to the bottom of the pan, until wine is nearly evaporated. Add the water to the pot. Bring to a boil, lower heat, cover and simmer until vegetables are very tender, about 20 minutes. Remove bay leaf from the pot. Puree the soup, using an immersion blender or a heavy duty blender, until very smooth. 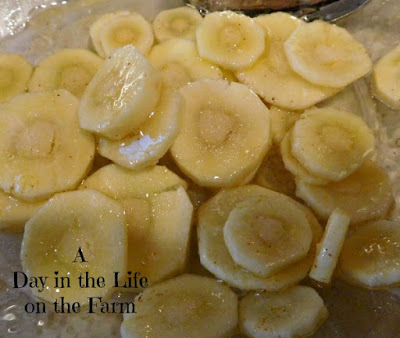 Stir in the cream, vinegar, honey and vanilla. Taste and season with additional salt, if needed. Garnish with parsnip chips, if desired, recipe below. Toss the parsnip rounds with the honey, oil, salt and cayenne. Air fry according to manufacturers instructions or roast in a preheated 450* oven for 10 minutes, flip and roast 10 minutes longer. It was a wonderful soup and the vinegar added a welcome touch of brightness. I really need to take advantage of the parsnips in the store right now. This sounds delicious. 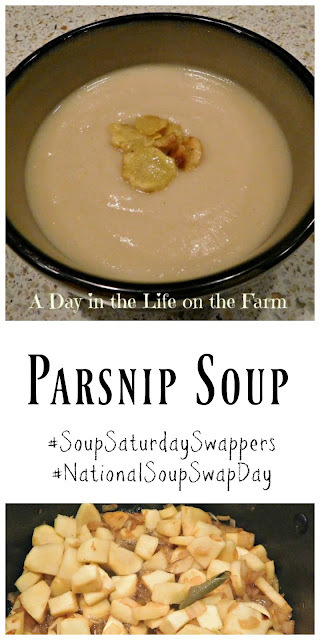 I love parsnips but never made them as soup. What a great idea! It was really tasty Cindy. 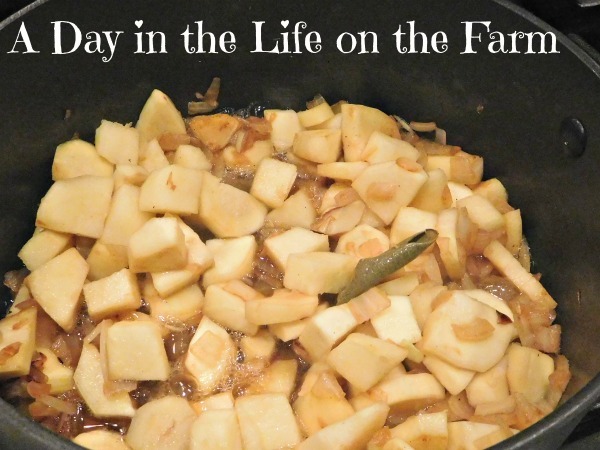 The caramelized onions sounds like such an amazing addition to this! Thanks for celebrating National Soup Swap Day with us! It is delish Lisa. Enjoy. Never seen parsnip here, but this soup sounds delicious. Well if you ever get a chance to try parsnips Sneha I think you will enjoy them. They are delicious roasted too. I have never had a parsnip soup before! Looks so creamy and delicious! It was very good Kelly.